Offering you a complete choice of products which include bean bag refill. 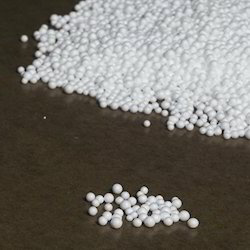 We are manufacturer supplier of of EPS thermocol beads orthermocol beans. These beads are mainly used in filling bean bags for dying purpose. Fill your Bean Bag with the best quality virgin beans for amazing comfort and ensured long life. Reckoned amid one of the credible market names, we are willingly betrothed in offering to our patrons Gelid Thermocol Balls. Looking for Bean Bag Refill ?